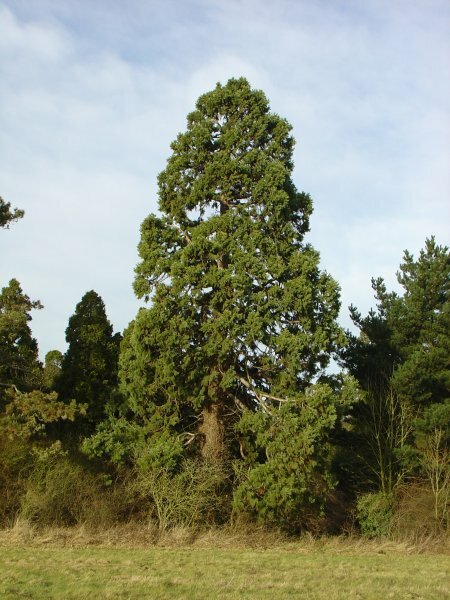 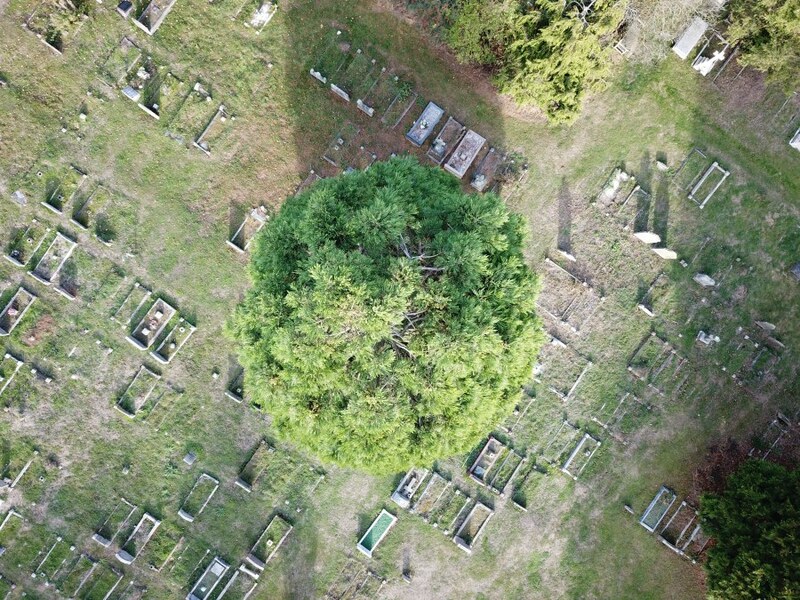 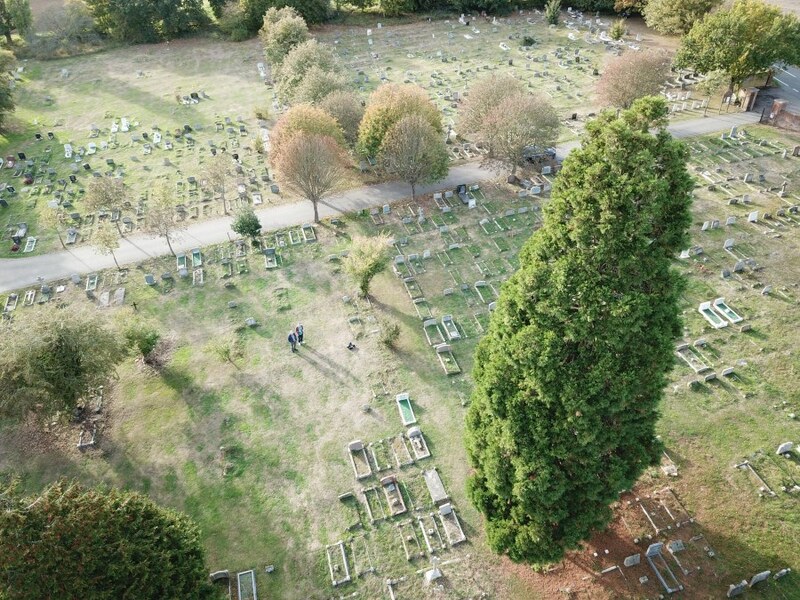 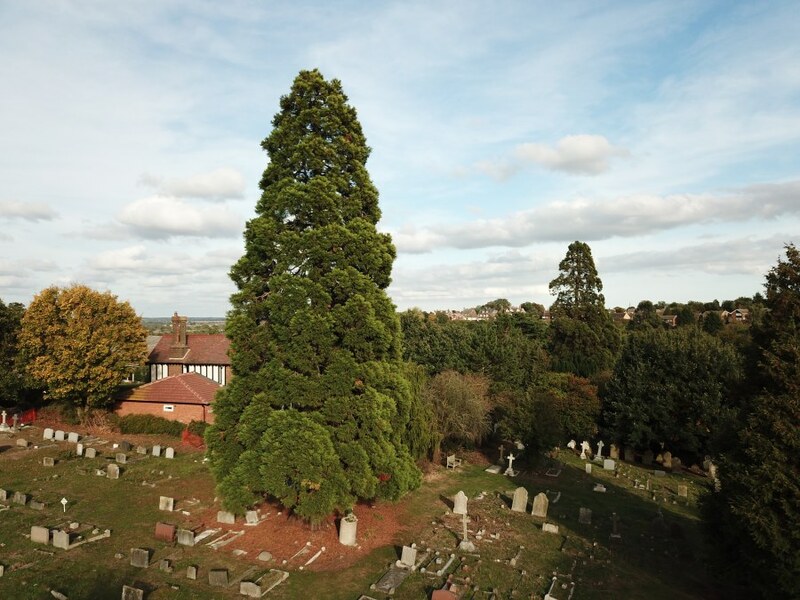 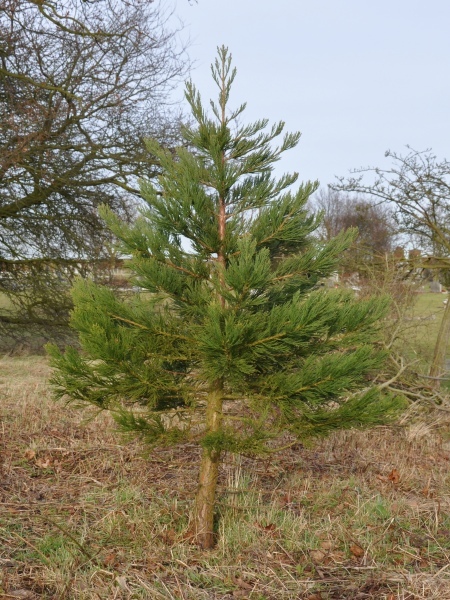 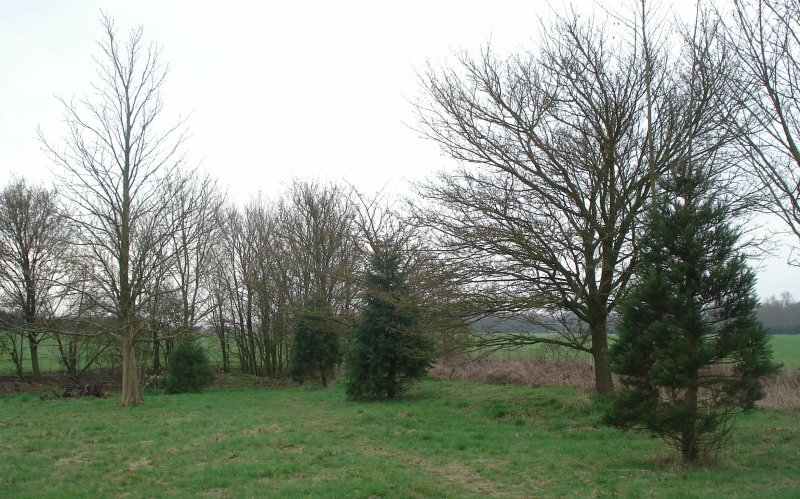 There are three large Wellingtonia in the Maldon cemetery, just off the London Road. 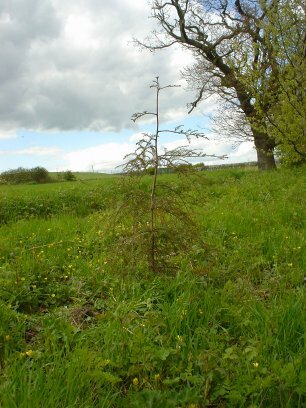 There were four until some time ago when one succumbed to a lightning strike, as can be seen in the picture below, supplied by Mick the gardener. 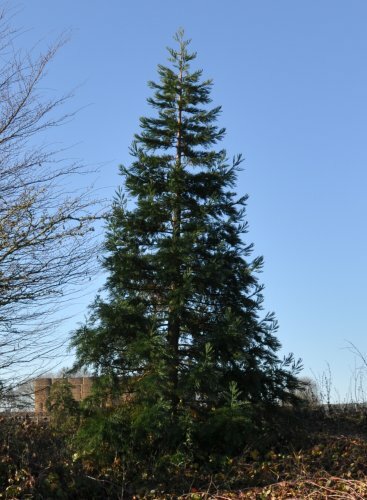 Sadly it eventually had to be cut down. 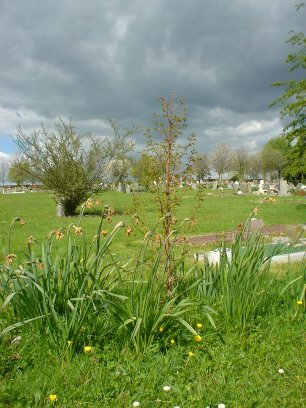 It looks as if they may originally have been planted in the four corners of the cemetery, although the cemetery has grown somewhat since then! 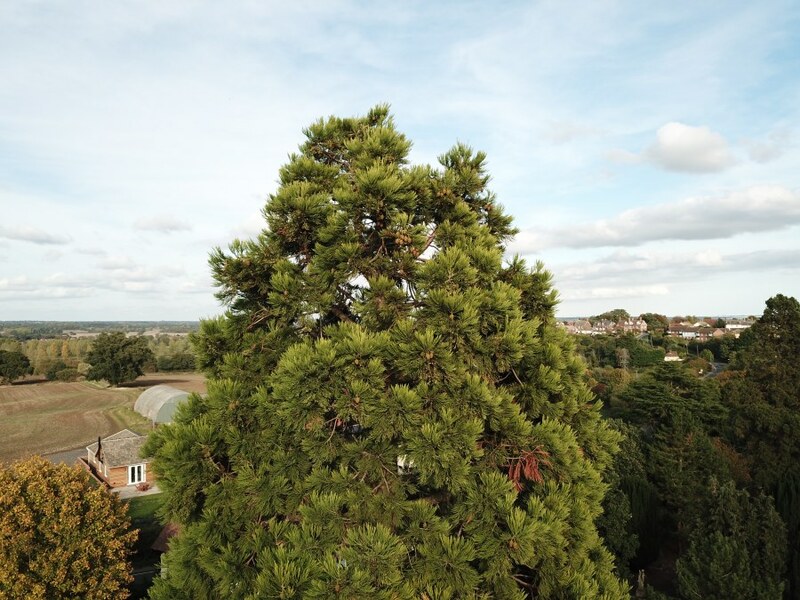 While they are all good examples, one is a particularly fine specimen, and makes a rather superb picture with the old house beside it. 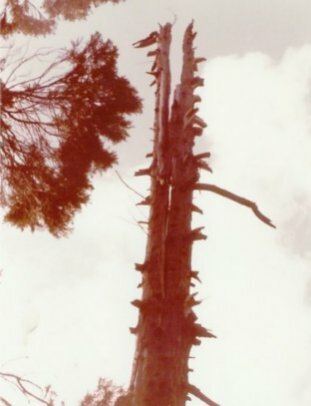 This can be seen in the first picture above. 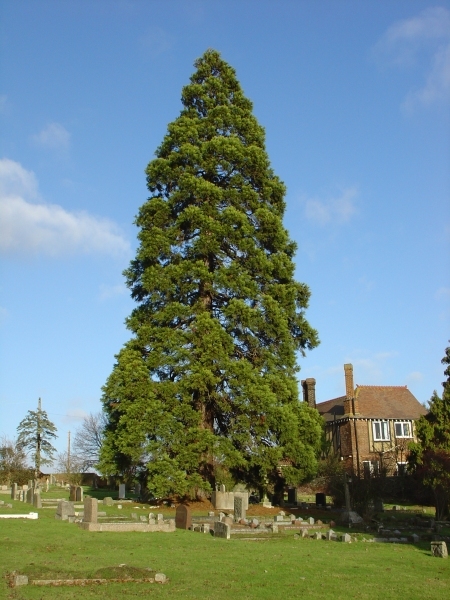 In December 2005 there were some additions to the cemetery; a Giant Redwood (Sequoiadendron giganteum), a Coast Redwood (Sequoia sempervirens) and a Dawn Redwood (Metasequoia glyptostroboides). 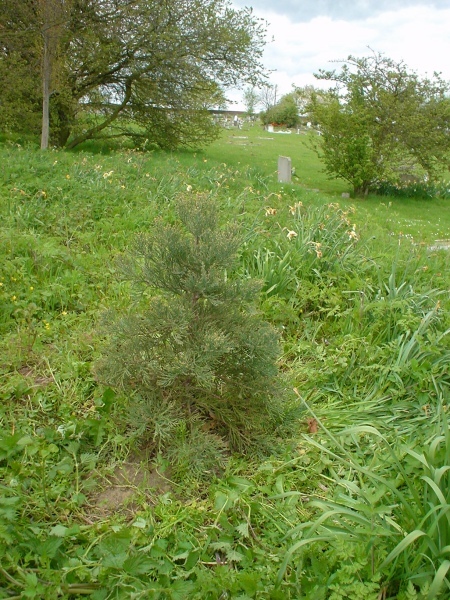 I know this because they were planted by me! 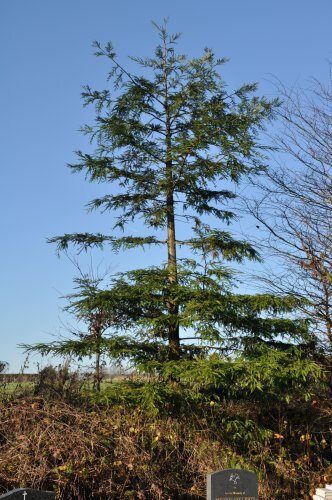 In December 2016 the three young Redwoods were all over twentyone feet high. 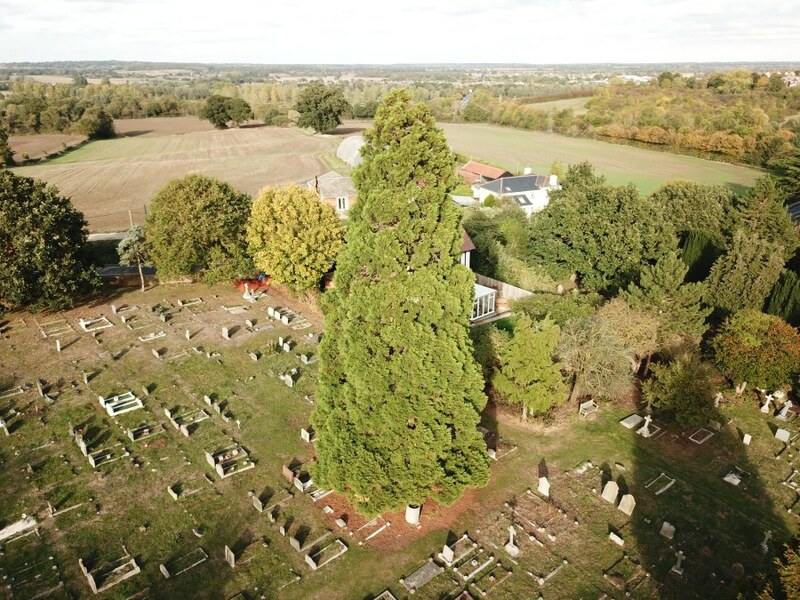 Strolling down to the natural burial ground (Woodland Glades) at the bottom end of the cemetery in 2017, we made an amazing discovery, there right under over very noses, four more young Giant Redwoods have been growing for the past few years!